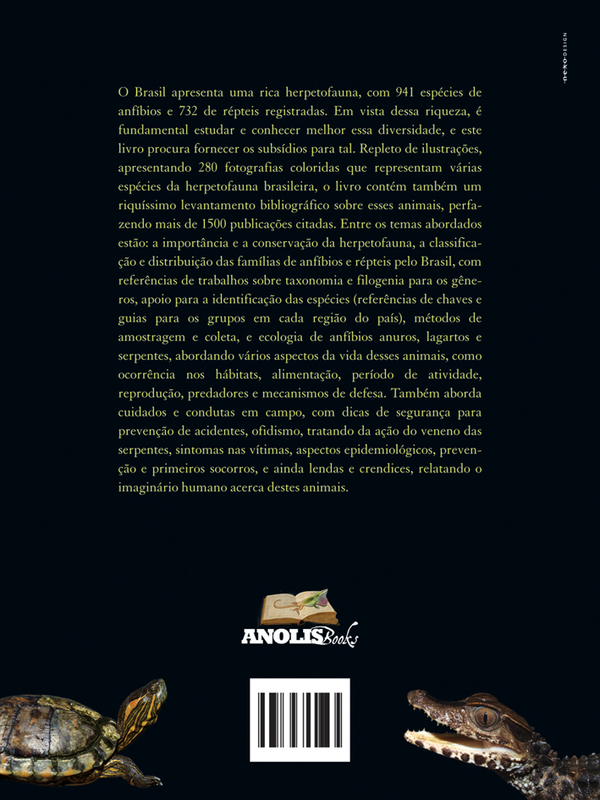 Book: "Anfíbios e Répteis - Introdução ao Estudo da Herpetofauna Brasileira"
Title: Anfíbios e Répteis - Introdução ao Estudo da Herpetofauna Brasileira. Description: Brazil has a rich herpetofauna, with 941 species of amphibians and 732 reptiles recorded. In view of this richness, it is essential to study and better understand this diversity, and this book seeks to provide subsidies for such. 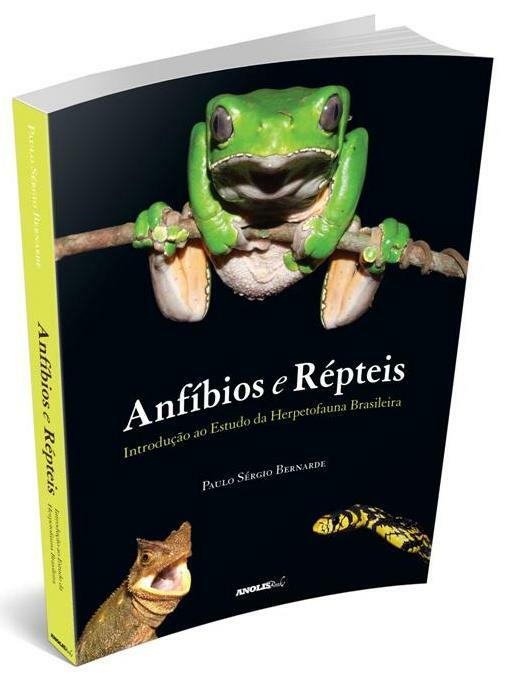 Filled with illustrations, featuring 280 color photographs that represent several Brazilian species of herpetofauna, the book also contains a rich literature on these animals, comprising more than 1500 publications cited. Among the topics covered are: the importance and conservation of herpetofauna, classification and distribution of families of amphibians and reptiles in Brazil, with reference works on the taxonomy and phylogeny for the genus, support for species identification (bibliographic references of keys and guides for groups in every region of the country), methods of sampling and collection, and ecology of amphibians, lizards and snakes, addressing various aspects of life of these animals, as occurring in the habitat, diet, activity period, reproduction, predators and mechanisms defense. Also covers care and conduct in the field with safety tips for preventing accidents, snakebite, dealing with the action of the poison of snakes, the victims symptoms, epidemiology, prevention and first aid, and even legends and superstitions, reporting on the human imagination these animals.